The property manager is the owner's first line of defense in preserving the value of their asset. 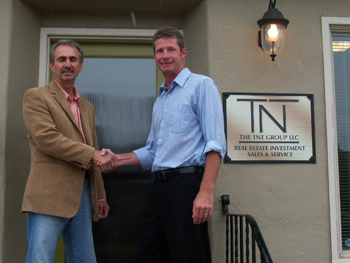 The TNT Group is a full service property management firm serving the commercial and rental home market in the Treasure Valley. The TNT Group maintains high-quality, well maintained clean rentals, multi family, condos and in single family homes. Our professional licensed real estate agents and property managers strive to maintain the investment value of your property by providing timely repairs as needed and matching quality tenants with your property. We are responsible and dedicated to insure that your investment is protected, maintained and grow to its fullest potential. Our hands on approach allows us to monitor what is happening on all properties. This insures a quick response and resolutions for your investment. Our services can be tailored to best serve your individual needs. We will make investing in real estate and property management services a pleasant and profitable experience for you. Contact us for more information.